Premier selection of plush toys, clothing, hats, jewellery and educational toys. Handmade African gifts and custom souvenirs. Gifts for children, clothing, plush toys, authentic African and animal gifts. Original elephant artwork and unique, one of a kind, “trunk” painted t-shirts. Stock up on disposable cameras, batteries and the official African Lion Safari Souvenir Guidebook before you journey through the Game Reserves. An assortment of animal masks and souvenirs for children available. MISSED PICKING UP YOUR SOUVENIR WHILE “ON SAFARI!”? Did you know that you can have unique one of a kind gifts delivered to your home? Looking for a ‘wild’ way to say Happy Birthday, Thank-you…or…Just Because? 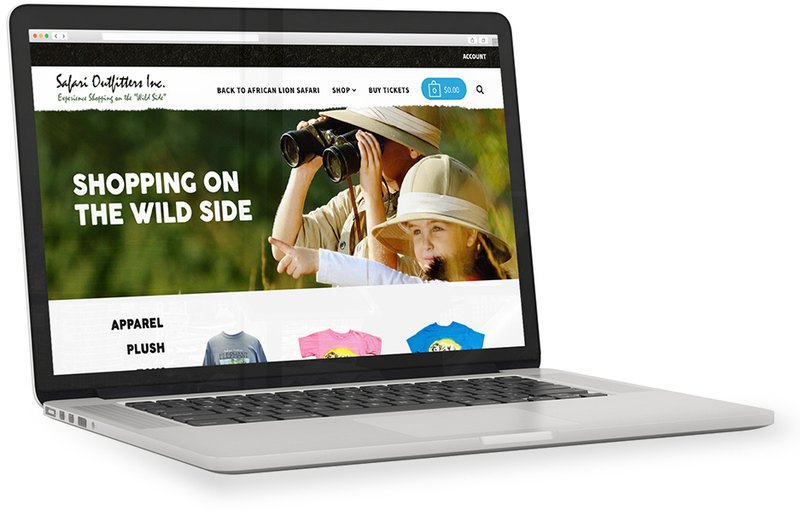 A gift card to African Lion Safari is a perfect gift idea for any family! 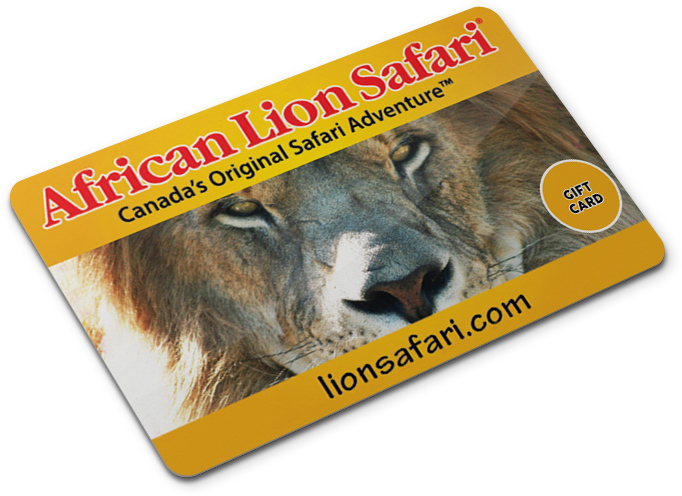 African Lion Safari offers Gift Cards with a minimum value of $50.00. Gift Cards can be used toward Admission, Safari Tour Bus, Safari Outfitters Gift Shop & Mombasa Market Restaurant. To purchase gift cards click here. Find the location of your favourite shop!